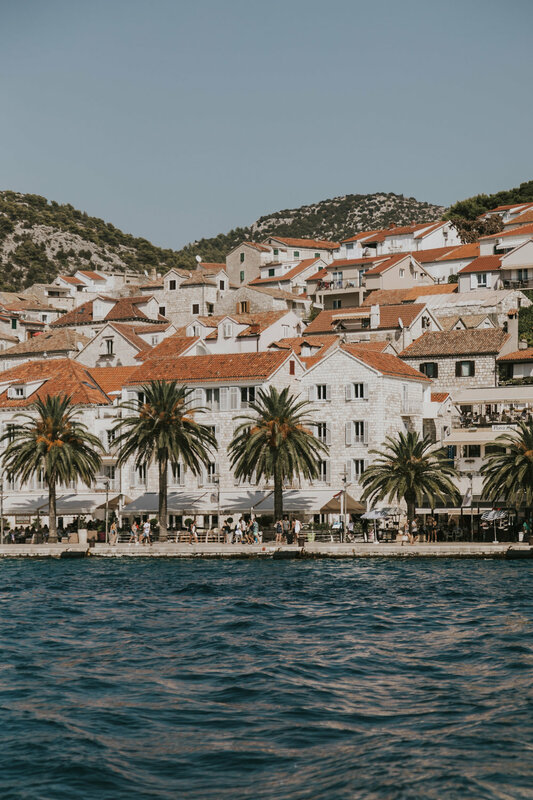 Hvar was one of my favourite stops on our adventure in Croatia during Yacht Week - It is such a beautiful town, and one that I will definitely have to visit again. Wandering the twisting streets of the town was so much fun - Every corner is so pretty, and there are coffee shops and stores and restaurants everywhere where you could just stop and spend hours enjoying a snack while people watching - The square (not pictured because we went there at night for dinner) is also really beautiful and worth a visit - In the evening the restaurants have patios outside and you can look out at the tower in the square -It is wonderful! We also visited a really cool beach club called Carpe Diem Bar and it had a restaurant/bar as well as beautiful beach beds and lounge chairs all along the water - They also had a delicious pizza stand that I highly recommend, it was so yummy and great after a day in the sun.